Cherry Casino offers a 100% welcome bonus up to $500 for new players after their first deposit. Bonus restrictions and wagering requirements apply as usual. Detailed information about these can be found on the casino website. As part of the welcome bonus, new players receive 200 free spins which are valid for certain games. Cherry Casino offers an impressive games selection, the largest of which consists of popular slot games. They provide the entire library of NetEnt slots, including the magical "Jack and the Beanstalk", the naughty "Devils Delight" and the spooky "Mythic Maiden" slots. There are also a significant number of table games and some video poker games. As well as the entire NetEnt slots library, Cherry Casino also operates games by other popular software providers, including Microgaming, NYX Interactive, Yggdrasil Gaming, Thunderkick, Amaya (Chartwell), Foxium and Sthlm Gaming. All these providers have developed games with the highest graphics quality. Some of the games offer immersive 3-D animations. Just like other online casinos, Cherry Casino offers many safe banking options. 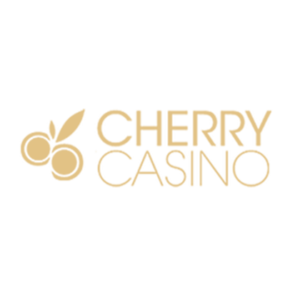 At Cherry Casino, deposits can be made using the following methods: MasterCard, Neteller, Paysafe Card, Visa Electron, Visa, Trustly, Skrill and fast bank transfer. The minimum deposit amount is $5, which is lower than most other casinos and makes Cherry Casino very affordable. Withdrawal methods available at Cherry Casino are Neteller, Skrill, Visa Electron, Visa Debit and bank transfer. Depending on the withdrawal method, transactions take between one and five days. The pending time for withdrawals is 72 hours. There are no withdrawal limits, but players are usually asked to verify their identity at the first withdrawal. Cherry Casino is available in English, German, Finnish, Norwegian and Swedish. The casino operates mainly in Europe and is restricted in many countries, including most of the United States and Australia, Canada, Spain, Portugal, Poland, Belgium, France, Denmark, the Netherlands, Czech Republic, Hungary, Italy, Slovenia, Israel, Thailand and several others. Cherry Casino accepts deposits in the following currencies; euros, Norwegian kroner and Swedish kronor. This is somewhat limited, but so is the number of countries where Cherry Casino is available. Players wanting to make deposits in other currencies are reminded that a currency conversion fee will be applied during the transaction process. Cherry Casino is essentially an instant play casino. This means there are no downloads required, and all games can be played directly on the customer's internet browser. Cherry Casino is optimised for mobile devices, and all games can be played on the move on iOS and Android smartphones and tablets. A live casino is also on offer. The customer support at Cherry Casino is excellent, and advisers are available around the clock to answer any questions. Although there is no live chat function, the online contact form works very well, and enquiries are responded to quickly, usually within 30 minutes. With queries made in a language other than English, response time can be longer.